If you believe you have a dental emergency, please call (810) 732-8020. We will do our best to see you as soon as possible. Dr. Antonela Larashi will evaluate your emergency and provide the best care to get you out of pain as fast as we can. If you call after hours, please listen carefully for our voicemail instructions. Until we are able to see you in office, here are some common dental emergencies and how to handle them. If your tooth is broken or out completely attempt to place it carefully back in the socket but be sure to not touch the root. If that’s not possible, put the tooth in milk and bring it to the office as soon as possible—ideally within 30 minutes, so there’s a greater likelihood of the tooth being saved. 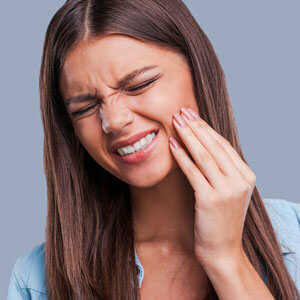 A toothache can be the result of a cavity, impacted tooth, infection or injury. Until you can get into the office, Dr. Larashi recommends taking Ibuprofen as it’s an anti-inflammatory pain medication. It’s essential to carefully clean the area that’s been bitten with water. Next, apply a cold compress to bring relief. If you experience significant bleeding please seek emergency medical attention as soon as possible. Whichever option you choose, you can enjoy a bright, beautiful smile! Providing our patients with the care they need is our main priority. Contact us today if you are experiencing a dental emergency.